Are you a supplier of fire industry products and services? The Fire Sector Summit is the leading industry forum for key decision makers and influencers from across the fire sector. Boasting talks and workshops by leading UK fire professionals, this year’s event is attracting a wide range of delegates. 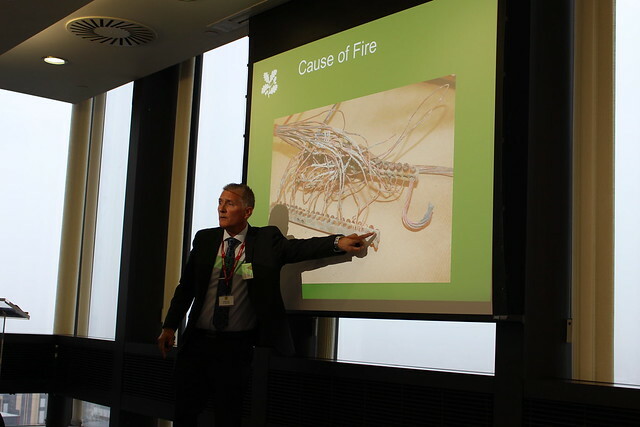 The aim of the Summit is to encourage discussion and debate on the sector’s most recent developments and themes and act as a catalyst for change within the world of fire safety. Previous years have influenced tangible transitions in the sphere of fire safety, and this year we will be focusing on Brexit, the future of the insurance landscape and much more. Post Grenfell and the Hackitt Review there is no better time for the industry to come together and make a real difference. This year we are delighted to present to guests, the opportunity to attend our drinks reception at the Houses of Parliament. A chance to network and continue discussing the day's themes, alongside other FPA/RISCAuthority members. Tickets for this event can be bought along with Summit bookings or independently. Anthony Burd, BSI – Changes to British Standards. Paul Pope, Director of the FIA – What assurance the manufacturers and service providers need leading up to Brexit. More speakers and full programme details to be announced soon. We are delighted to have Charlotte Hawkins returning to chair the Fire Sector Summit for the second year running. As seen on ITV's Good Morning Britain and hosting her own Sunday afternoon show on Classic FM. We are thrilled to have her back once again. We are delighted to announce ROCKWOOL UK as our headline sponsor.